You may have a lot of ideas about how to grow your practice. By utilizing marketing strategies, you’re ready to retain more patients and spread the word about how fantastic your team is and why your community should trust you with their orthodontic needs. 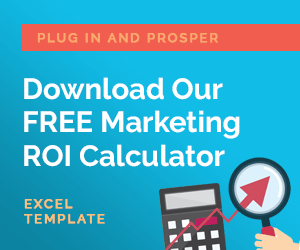 Although this will help your practice grow in theory, if the plan isn’t implemented fully, your marketing efforts can be in vain. The key to a successful marketing campaign is execution, and a major factor in execution is having a well-crafted plan in place. It can be easy for many of us to say we’ll work on something later, and it’s no different when it comes to marketing your business. You may be full of effective ideas to market your practice, but haven’t gotten around to them yet. When you have a written marketing plan in place, it makes putting off these ideas more difficult. Once your plan is in writing, it’s more solidified and real, making it easier to stick to long-term. 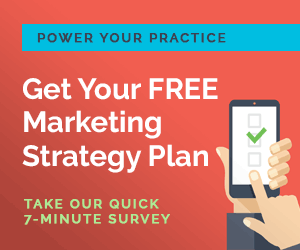 Your marketing plan is the hub of all activity taking place to effectively grow your practice, and by sticking to this plan, you’re able to keep an organized grasp on your efforts. What you may have originally believed was the right strategy may prove to be less effective, so being able to make corrections is key. In utilizing a written marketing plan, you can easily track what is working and what isn’t, so you can adjust accordingly. Having a plan also helps to put all of your marketing efforts into perspective, giving you a better picture of what the future can hold for you and your team. In order to achieve maximum success with your marketing efforts, all of the moving parts of your campaign need to work together. This will help effectively lead you to your end goal of growing your practice and retaining more patients. If even just one part of your marketing plan isn’t working, it can throw a wrench into the entire operation. Without effective marketing in place, your practice isn’t taking advantage of its full potential. You and your team shine, because you provide your patients with the very best orthodontic services in your area. Marketing these services is an important element to the overall longevity of your practice. If your marketing is lacking, potential patients are more inclined to seek treatment from a practice that is marketing more effectively. The key is to have a plan in place, and the best way to stick to that plan is by having it written down so it’s easier to follow, review, and revise as necessary to achieve long-term growth and success.